Following a crack of dawn start travelling to Heathrow airport, before flying to Zurich then followed by a four hour incredibly scenic train journey to St Moritz, I was looking forward to a hearty dinner. So when a small plate of fresh vegetables with rice arrived, I naturally thought courses two and three were to follow. It was only when the waiter cleared the plates and said he had hoped I enjoyed the meal, did I realise the detox had officially begun. 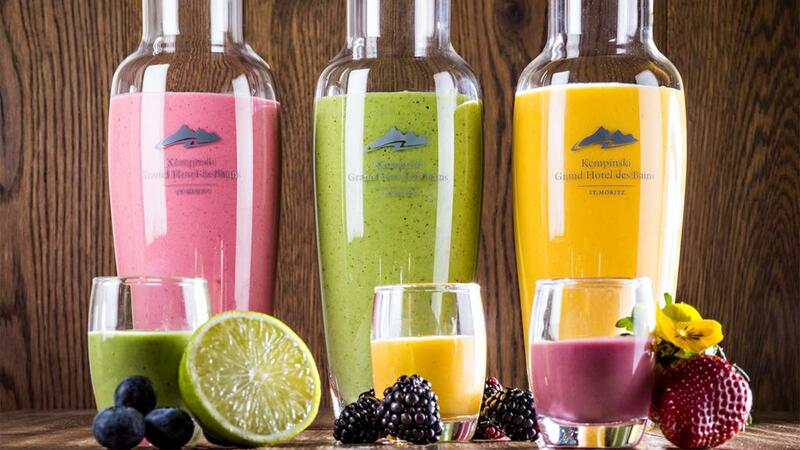 I was after all on the newly launched detox program at the Kempinski Hotel in the Upper Engadine Valley. But I must confess I had banked on having a blow out meal before I started the next day. Still, I had signed up for the three day detox and there was no way out. Not even any nuts in the mini bar. In fact the usual contents of one were replaced by six cold pressed juices of varied colours. 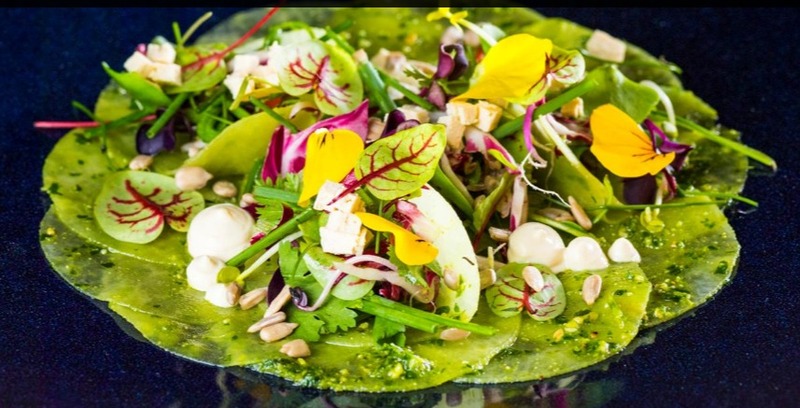 The normal programme consists of six overnight stays consisting of breakfast, lunch and dinner prepared from raw, vegan ingredients and the aforementioned six Fit ‘n’ Tasty Juices to be drunk throughout the day. The activities included gentle hikes, cycling, yoga and pilates, And the bonus? Three detox treatments at the spa including a wrap, scrub and massage. Day one began with an almighty wake up with my first detox juice of the day. It was a citrus lemon flavour and oh my it really did have a sharp taste. But hungry from the night before it really wasn’t a time be fussy. Juice down and it was off for a yoga session at 8am in the studio. Our instructor Ivonne Mazzel was kind to us as she gently eased us in before moving on to complicated poses. The shivasna at the end was very much welcomed. Breakfast was interesting – over a litre bottle of suspiciously looking green juice and a small bowl of fruit with coconut shavings. The latter was lovely but the juice not much so. I’m used to having some protein and fruit in my green smoothies. This was rather bland but beggars can’t be choosers. I had made sure I also sat well away from the normal gourmet offerings of this five star place. As detox is all about measuring our success, we had our body analysis taken including our height, weight, fat, water body via a machine. Day four would be d-day when we found out how well we had done. ​There’s nothing quite like a hike in the beautiful mountains to get your mind off food and we were also in good company. Wolfgang Hoffmann is a specially appointed activity concierge who knows the valley like no other. He can arrange numerous activities including boulder climbing, flow trail downhill biking, climbing, miniature golf, paragliding, horse riding, swimming, windsurfing, stand up paddling to name a few. So our three hour hike was just blissful and incorporated several stops to admire views – and drink juice number two. It was a carrot juice and not at all unpleasant. ​Lunch was tiny but beautifully presented. Spinach, avocado, strawberries formed the meal and despite being deflated at the paltry portion I realised I wasn’t even hungry. Besides, with a wrap and scrub scheduled for the afternoon I certainly didn’t need a food coma of a belly. The wrap and scrub was lovely – exactly what you need after a morning full of activities. As the masseuse scrubbed and exfoliated I visualised stress leaving my body. The rest of the afternoon and early evening was spent dozing in the chill out lounge. A gentle stretch class and dinner ensued. Again beautiful raw food adorned the plate and I gulped it. I realised I wasn’t actually even hungry and that our eyes really are bigger than our belly. The six juices had kept me full. I slept peacefully through the whole night. Day two began with a fasted hike before breakfast. The juice was a lot nicer made of carrot and oranges. It went down rather well and I was excited to get out on my bike around the lakes. St Mortiz has some of the most beautiful lakes that you can’t help wanting to be by them in any weather. The afternoon followed by lunch was spent on my back again as I enjoyed an hour long massage. I felt like I really was giving my body the best treatment ever through nourishment, exercise and treatments. If people think detoxifying is depriving themselves, they should rethink. You’re actually doing yourself a huge favour and giving it the best you can to kick start healthy long term goals. As each day went by I felt more and more relaxed and the exercises did not feel strenuous at all. I even enjoyed the HIIT training with Francesco because I had the energy to do it. During our stay we covered a number of walks including the MTB Tour which takes you along Champfer to Lake Silvaplana, pass castle Silvaplana, close to Sils. On another day we took in the views along a pass through the Olympiaschanze pass Lej Nair viewing point Crastatscha (view to Silvaplana) and Lake Champfer. And surprisingly I started to really enjoy the juices and looked forward to the foods. In three days I felt like my taste buds were changing and I was developing a keen interest in raw food. The final day’s smoothie of strawberries, nuts and almond milk was just divine. So how did I do come judgement day? I lost TWO pounds of fat in three days. I was chuffed to bits to say the least and felt great. In fact so much so I vowed to keep it off and continue having at least a couple of raw food days a week. It’s been three weeks since my return and I have lost 4kg as I’ve kept up with eating healthy. Again life is about balance and about making sustainable healthy choices. The detox program here at the Kempinski Hotel gives you a much needed boost to start that journey. Even the General Manager Reto Stockenius embarked on his healthy journey by doing the programme and has lost several kilos so far. And did I feel like I was on a luxury holiday at the same time? How could I not with the beautiful surroundings I found myself in – both in and out of the hotel. Price for the complete programme as of CHF 3440 in a double room and CHF 2230 in a single room. To make a reservation, email spa.grandhoteldesbains@kempinski.com. During my visit I was hosted by Kempinski Hotel, St. Moritz and My Switzerland. All views and opinions are my own. 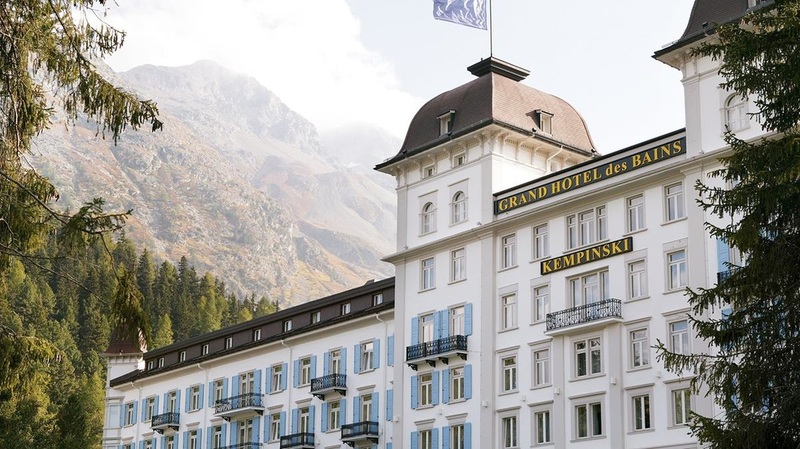 Images courtesy of Kempinski Hotel St. Moritz. Located on Northumberland Avenue just a few minutes' walk from Charing Cross tube station, you'll find Thai Square Spa, a top-notch spa that’s ideal for frazzled Londoners looking for a relaxing respite from the daily grind. Thai Square has a plethora of treatment options and spa services to choose from including the option of half-day spa packages (from £195) or full-day spa packages (from £440). 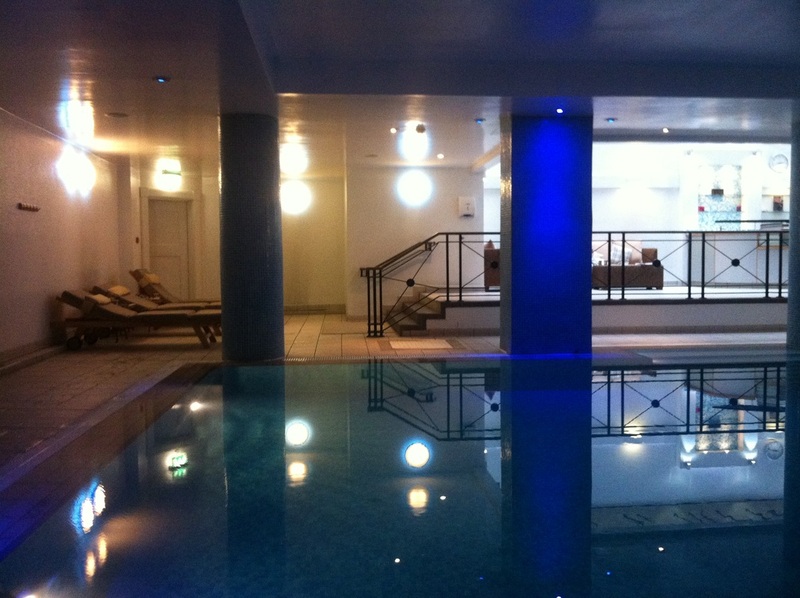 For those who don’t wish to indulge in the half or full day spa package, spa samplers are also available (from £145). 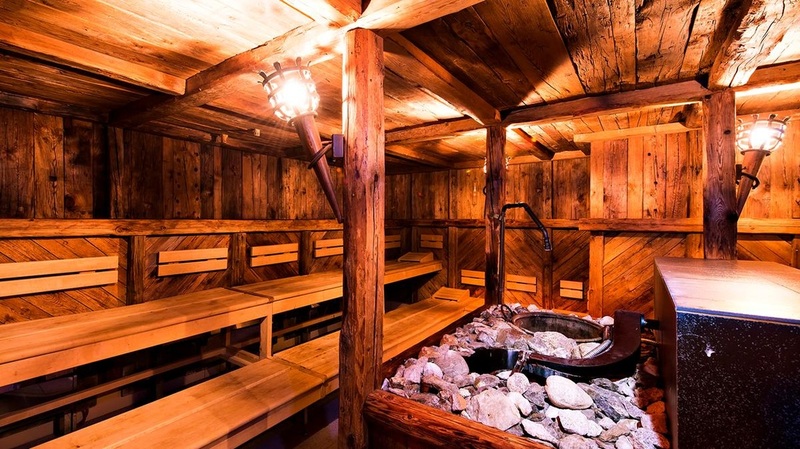 For those on a shoestring budget, a good option is the ‘Sens Space’, which provides visitors with use of the steam room, sauna, hot tub and relaxation areas (£40 for 60 mins or £70 for 120 mins). To ensure there is something for everyone to enjoy, there are also packages for gentlemen (from £230), couples’ (from £350), the bride-to-be (from £185) and maternity (from £215). As I wanted to make use of the sauna, hot tub and relaxation areas, I booked in for the Sens Space and the Himalayan Salt House (£35 for 30 mins or £50 for 60 mins), so I could get a quick hit of bright light on a dreary day. The small but perfectly contained Sen Spa area is intimately lit to help aid relaxation. I loved the Jacuzzi, which provided a cocoon of elegance with its curved ceiling and luxe gold tiles. 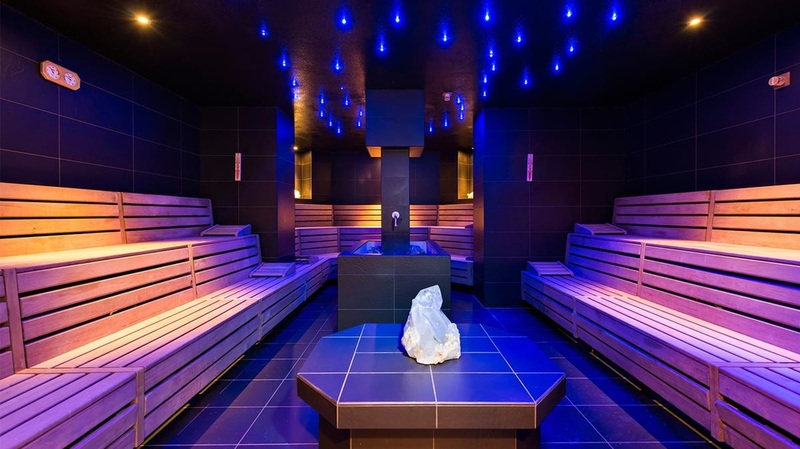 After I had soaked away my cares, I hopped into the sauna to cleanse my pores and then finished off my spa experience in the salt house, which was a bit like going to the beach (and far cheaper than a flight to Spain) with its bright light, sand pit, lounge chairs and magazines. Once I’d completed everything I wanted to experience, I retreated to one of the three relaxation areas to enjoy a cup of herbal tea prior to my Thai massage. Here the décor was a bit of a mixed bag with a blend of Italian and Thai décor - think towering Roman pillars, comfy loungers, a multitude of smiling and reclining Buddha statues and Roman battle scene paintings, which seemed an odd combination, but it was certainly unique! In typical spa fashion, peaceful Asian inspired background music (think woodland flutes) plays gently in the background to help keep the mood restful. 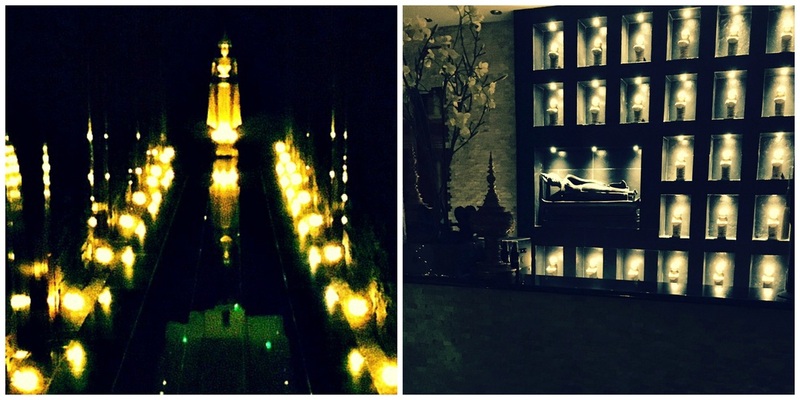 Near the relaxation areas, the treatment rooms are found at the end of a long hallway, which is glamorously decorated with a runway of tea light candles and a large Buddha statue as its centrepiece. 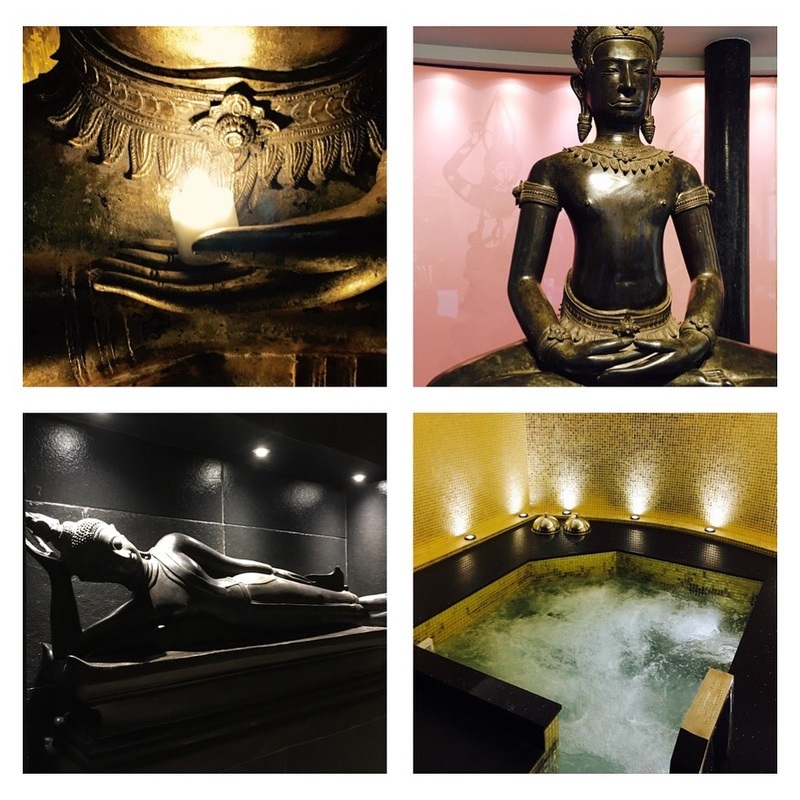 The ultra-luxe treatment room was absolutely gorgeous and boasted a striking copper bath, which sadly I didn't get to use, but it looked seriously indulgent! Beauty treatments on offer include manicures, pedicures, waxing and a hairstyling and a make-up bar. With so many options to choose from, Thai Square Spa really is a one-stop shop for all of your pampering and relaxation needs. For those who wish to take a bit of the spa experience home with them, there is also the option to purchase a wide selection of spa and beauty products, which can be found in the reception area. A special mention is in order for the exceptionally friendly staff. Having forgotten my swimsuit (and apparently my mind) at home while en route to the spa, I had to move my appointment at the last minute, so I could quickly trek across London to retrieve it, which meant that I arrived at the spa feeling ridiculously frazzled. Luckily, thanks to the helpful staff and the zen-like environment, my stresses quickly dissipated. Throughout the duration of my time at the spa, the staff were truly committed to ensuring I had a relaxing experience, which in my estimation is the measure of a great spa. 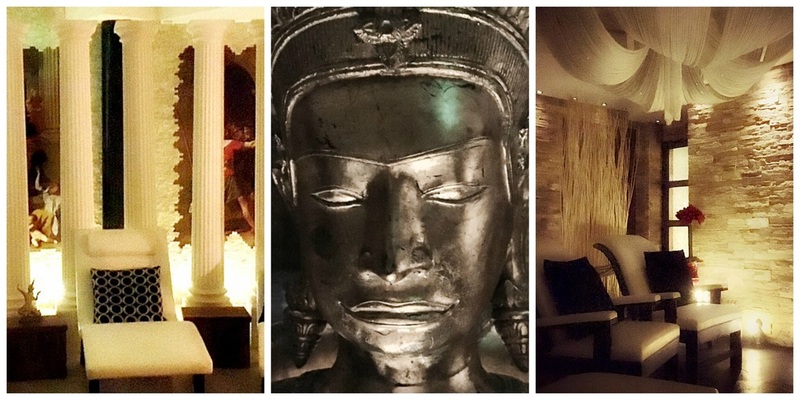 Thanks to the lovely team at Thai Square Spa for the complimentary spa treatments. All views and opinions are my own. 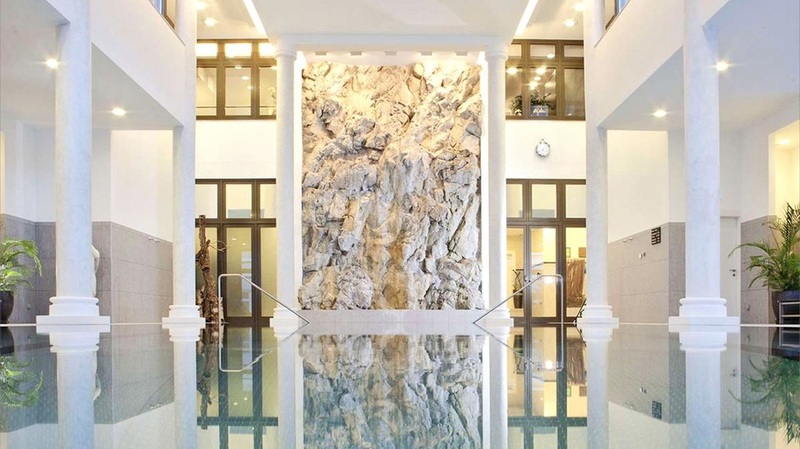 Offering five treatment rooms, a 15 metre swimming pool, sauna, steam room, gymnasium and exercise studio, The Balmoral Spa is the perfect retreat for frazzled people who want to recharge their batteries in style. A designated spa lift takes hotel guests to the spa area- perfect for those who wish to pad around a robe and slippers (without the scrutiny of other hotel guests). Day passes are also available for non-hotel guests. The spa offers a dizzying array of spa treatments certain to impress even the most seasoned spa goer including hot stone massages, facials, manicures and pedicures and detoxifying body wraps. If you’re not sure which to choose, the helpful spa attendants are on hand to happily guide you through the options to provide the best recommendation based on your individual needs. Men’s and women’s day packages (which also include champagne afternoon tea or lunch at Hadrian's) are also available and are the ultimate treat for couples really wanting to spoil themselves. Here you'll find our reviews on some of the best treatments and retreats to soothe your mind, body, and soul.